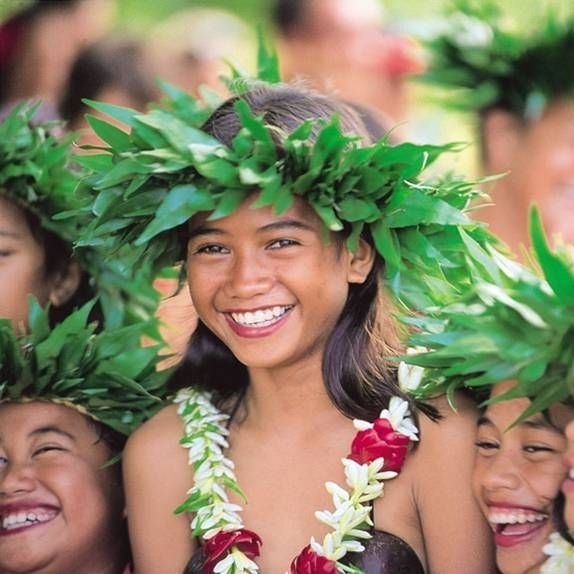 In Tahitian, the word Heiva (hei meaning to assemble, and va meaning community places) refers to cultural activities, pastimes, physical exercise, and festivals. 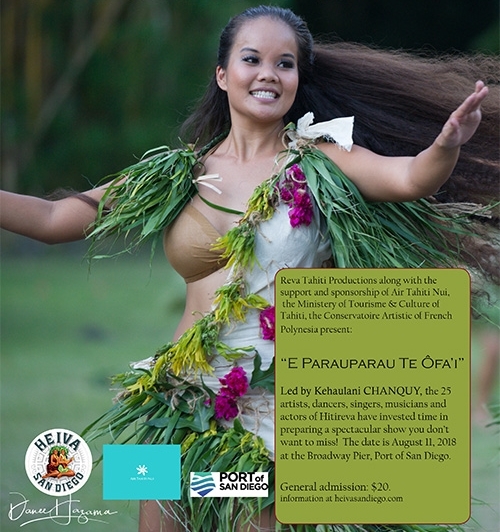 Music, dancing, singing and sporting events have always held an important place in Polynesian communities. In ancient times, they were essential components of religious and political ceremonies. See HERE for more history. We were pleased that Hitireva,under the direction of Kehaulani CHANQUY, were our special guests at Heiva San Diego 2018. The 25 artists, dancers, singers, musicians and actors of Hitireva presented their show both days of our festival as well as several workshops. This show “E Parauparau te Ofa’i”, tells the immemorial history of the Stone, presents “before the time of men” and will accompany them in every step of their life, before being finally abandoned by modern times.